Susan Page Davis here. You can’t study Texas history without hearing the name Cynthia Ann Parker. Several of my books are set in the Lone Star State, and she is one of the first famous Texans I learned about. Cynthia was about eleven years old when she was captured by Comanches, and here is how it came about. She was born about 1825, in Illinois. Her parents moved to central Texas when she was nine or ten years old. Her father, John Parker, headed the move and took a large number of people from his extended family with them. 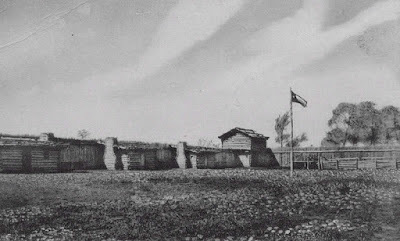 They built a stockade, Fort Parker, on the headwaters of the Navasota River, in what is now Limestone County. The fort was built on a hill, giving the inhabitants a good view of anyone approaching. The settlers lived in log cabins inside the walls. Each day, they went outside the walls to farm. At night, they would drive their grazing animals inside the fort and bar the gate. On May 19, 1836, several of the Parker men went out to tend their fields. They left the gate open. A short time later, a child looking out the gate saw about 150 mounted warriors (some accounts estimate up to 500) outside. The Indians, mostly Comanche, claimed to be friendly at first. Benjamin Parker went out to talk to them. They asked for some beef and directions to the nearest water—and yet, the river ran nearby. Parker went inside the gate told the others he would go and talk to them some more. Still those inside did not close the gate, not wanting to shut out the men in the fields. The warriors killed Benjamin Parker and attacked the fort. 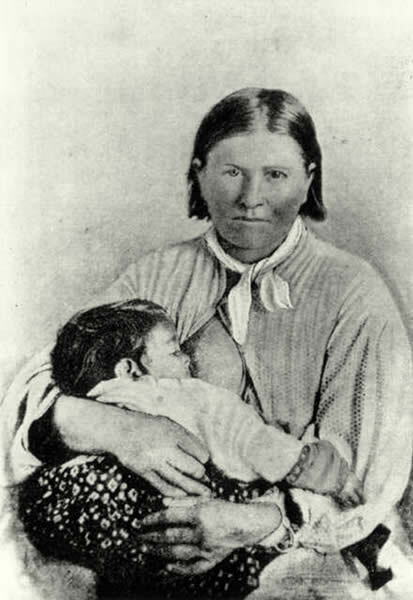 They killed several of the settlers and captured five people, including Cynthia and her younger brother, John Parker. Then they chased the men who had been working outside the fort. Some were killed, and others managed to hide and escape. The other captives were released in a relatively short time, but not Cynthia Ann. She grew up among the Comanche people and became one of them. They gave her the name Nadua, and she darkened her hair to make her look more like her adopted people. She became the wife of Peta Nocona, a leader among the Comanche. 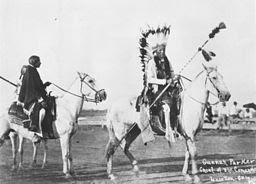 They had two sons, Quanah and Pecos, and a daughter, Topsannah. Her brother, John, who had been ransomed, reportedly asked Cynthia to return to their family in the mid-1840s, but she refused. She told him she loved her husband and children too much to leave them. Another undocumented report tells of an Indian trader inviting her to return to the white settlements with him a few years later, again without success. Several federal officials and military officers reported seeing her over the years and attempting to ransom her and being refused by the Comanche elders, who said she was a member of the tribe. 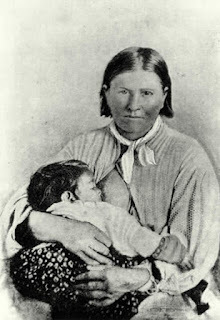 In December, 1860, Cynthia Ann and her baby, Topsannah (“Prairie Flower”), were captured by a group of Texas Rangers during an attack on a Comanche hunting camp. The Rangers were surprised to find that one of their captives had blue eyes. They described her as a non-English-speaking white woman with an infant daughter. She was later identified by Col. Isaac Parker as his niece, Cynthia Ann. Cynthia at the time thought her husband was dead and cut her hair short, a Comanche tradition of mourning. She begged to be allowed to return with her daughter to the Comanche, but was refused. She agreed to accompany Col. Parker on the condition that her sons would be sent to her if they were found. This did not happen. She returned to the Parker family. She had lived with the Comanche for more than twenty-four years. By now, Cynthia Ann had disappeared. She considered herself Nadua, a Comanche woman. The Texas legislature voted her a grant of $100 a year for five years and a piece of land. Two of the Parker family men were appointed her guardians. Desperately unhappy and longing to be with her sons and her husband, Nadua tried several times to escape. She was placed under guard. When Topsannah died within three years of coming to the white community, Nadua grieved as a Comanche woman would, horrifying her relatives. She howled and slashed her arms and breasts with a knife. She refused to eat and died mourning at the home of one of her brothers, having never seen her Comanche family again. She was approximately forty-three years old. 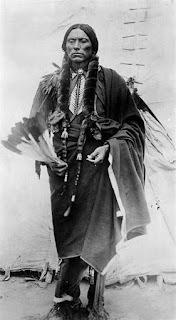 Her son Quanah became the most influential Comanche leader of the reservation era and took his mother’s last name, Parker. He moved her body in 1910 to the Post Oak Mission Cemetery near Cache, Oklahoma. Later, Cynthia Ann’s remains and Quanah Parker’s were reinterred at the Fort Sill Post Cemetery in Lawton, Oklahoma. To enter a drawing for a copy of Susan Page Davis’s Captive Trail, a historical novel set in Texas, leave a comment and your contact information. The drawing will be held Oct. 28. All photos on this post are in the public domain. I'm with you, Terrill. While studying Maine History, we learned about Joshua Chamberlain, Hannibal Hamlin, and other "Maine greats." But there was so much we missed. How very interesting. I would love to read this book! Thanks, Connie. I studied about a lot of Texas captives to prepare for writing Captive Trail. Cynthia Ann was one of the first and most famous. Interesting to read about the customs of the indians. Would love to read this book. Thank you, Heather! I find it a fascinating study. Some more great info about texas and native americans. kamundsen44ATyahooDOTcom. Hi, Kim! The more I learn about Texas, the more I realize I don' t know! I agree, Sharon. In my research, I learned that children who were captured and lived with the Indians for six months to a year or more generally did NOT want to be 'rescued.' After two years, it was extremely difficult for them to reassimilate to the white culture. Several who were returned to their families later tried to claim tribal status. Even though life was so hard for the tribes at that time, we have to remember that it was also hard for white families. Generally, white children of settlers worked hard. Those who got a taste of the nomadic life didn't want to go back home. Thank you, Susan, for sharing this fascinating story. I knew Cynthia's story, but some how I missed the fact that Quannah Parker was her son. I wish the story of her time with the Comanche had been recorded. That's be really interesting to read. I so agree, Vickie. Unfortunately, most of what we know about Native American cultures is what whites have observed, which is not always accurate. How tragic from start to finish.. I enjoyed your post and would enjoy reading your historical novel set in Texas. Thanks, Deanna. It's a blessing in fiction to be able to provide a happier ending than real life often gives. Thank you for sharing Cynthia's story. It is so sad that the life she knew from the time she was a very young girl was taken away from her and she suffered through the death of her daughter without the support of her husband and sons. The heart doesn't look at culture or heritage when it chooses to love! Very true, Connie! Thanks for taking part in the discussion. And the winner is: Terrill R. Thank you, everyone!